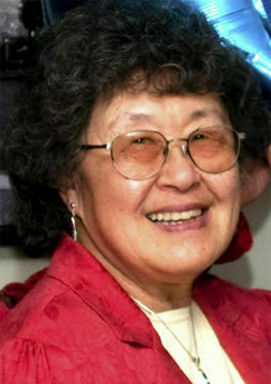 Irene Tanaka Kan, of Seaside, peacefully passed away at her home in Seaside on April 3, 2019. She was 83. Irene was born to Eddie and Toshiye Tanaka on Dec. 28, 1935, in Shoshone, Idaho. After graduating as valedictorian from Shoshone High School in 1954, she earned her bachelor’s degree in home economics at Oregon State College in Corvallis in 1958. While at Oregon State, Irene met her future husband, Warren Kan, whom she married on June 21, 1958, in Shoshone, then moved to Salem, where they both worked at Oregon Fruit Products Co. In 1966, Warren and Irene moved to Seaside to run Kan’s Hankow Inn when his parents, Frank and Yok Ping Kan, retired. For 25 years, Irene cooked at and helped manage the Chinese restaurant. In the 1980s, the couple developed Sand Dollar Square, a minimall on Broadway near the Turnaround. In 1992, they built and operated Cannes Cinema on 12th Avenue, and sold the movie theater in 2006. In 2000, they opened a Microtel on U.S. Highway 101, and sold the hotel in 2008. A proponent of education, Irene volunteered at Seaside Heights Elementary School, working with students for 30 years. She was an active member of the American Association of University Women and its Women Interested in Going to School (WINGS) workshop. She also helped pack food and supplies into backpacks for Head Start students, and delivered Sunday supper to elderly residents. A longtime member of the Seaside United Methodist Church, she sang in the choir. Her hobbies included baking, knitting, gardening and reading. Irene also enjoyed traveling with friends and family, taking trips across the country and around the world. She is survived by a daughter, Pamela Kan-Rice, of Moraga, California; a son, Marc Kan, of Seaside; a sister, Nancy Paulson, of Lehi, Utah; and several nieces, nephews and cousins. She was preceded in death by Warren, her husband of 53 years, and brothers, Clarence and Fred. The Kan family is grateful to Caring for the Coast and Lower Columbia Hospice for enabling Irene to live out her life in the comfort of her home. Friends and family are invited to celebrate Irene’s life at noon Saturday, April 20, at the Seaside United Methodist Church, 241 N. Holladay Drive, Seaside, followed by a reception at 1 p.m. at the American Legion, 1315 Broadway, Seaside. In lieu of flowers, donations may be made in her memory to the Kan Family Scholarship Fund at Seaside High School, 1901 N. Holladay Drive, Seaside, OR., 97138, Seaside Public Library Foundation and Seaside Parks and Recreation Department Foundation. Caldwell’s Funeral & Cremation Arrangement Center of Seaside is in charge of the arrangements.